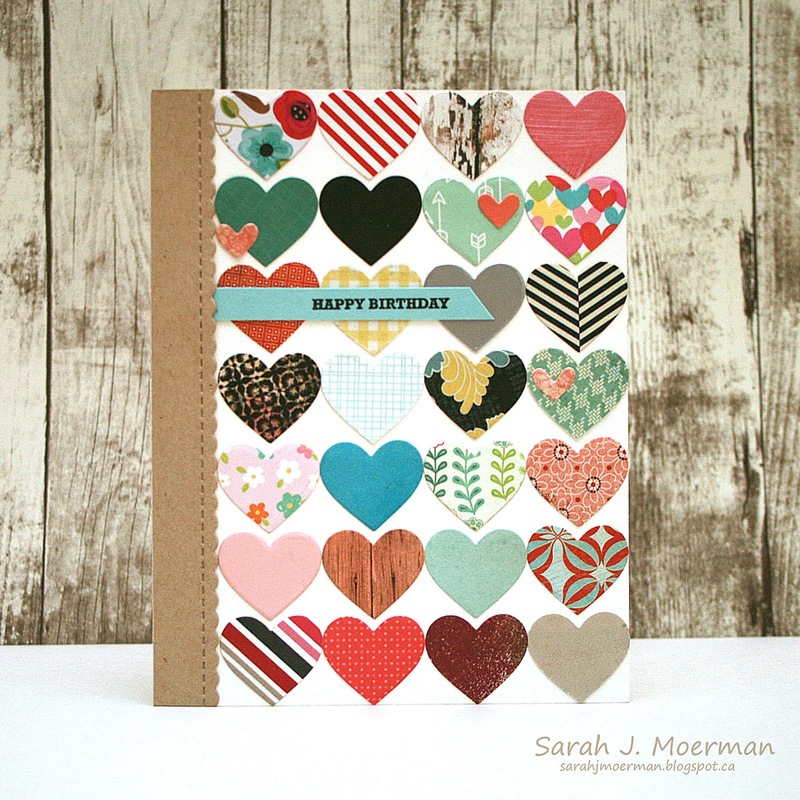 SSS Circles and Hearts Scraps Card Set and January Card Kit Winner! I hope you all had a wonderful Christmas! I'm stopping by to share another one of the card sets I made in an attempt to use up some of my patterned paper scraps and also to announce the winner of Simon's January Card Kit. First, here's the set of cards I made. 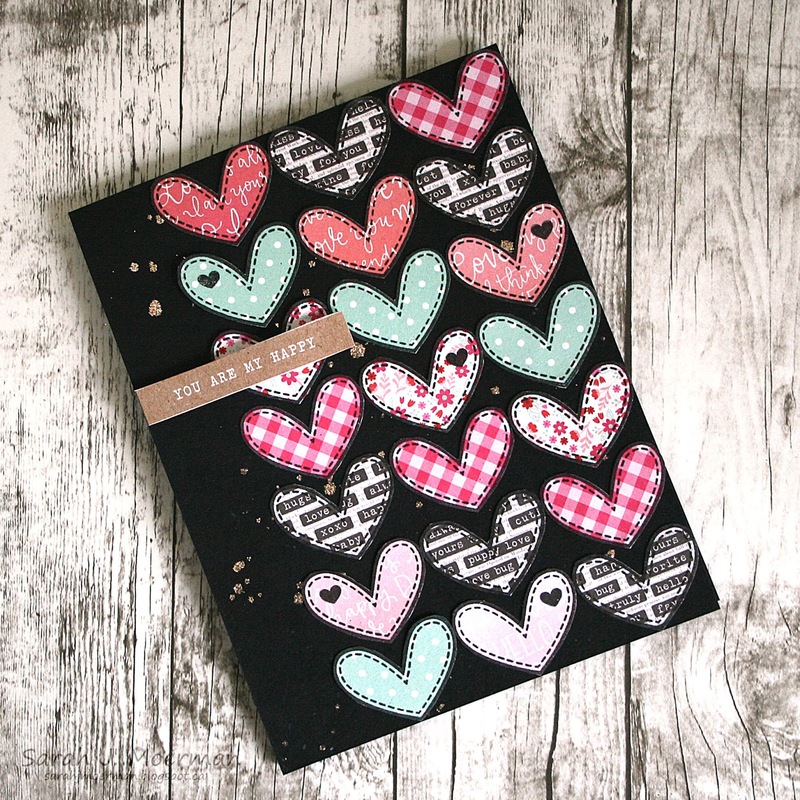 All the circles, hearts, and stars were cut from scraps of patterned paper. These designs enabled me cut from some pretty small scraps. I can't remember which stamp set I used for the 'here for you' cards and can't find it on Simon's website. Does anyone happen to know? Congrats Lynette! Please message me via my contact info on the sidebar with your mailing info so I can pass it on to Simon! Thanks everyone for stopping by my little blog this past year! Happy New Year! 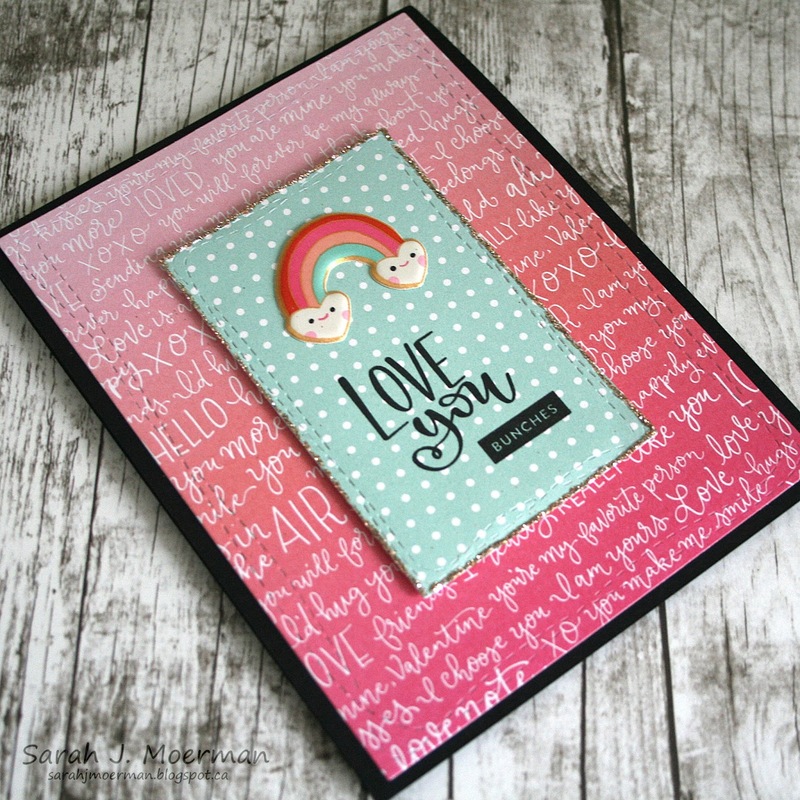 SSS January Card Kit: Love You (& GIVEAWAY)! 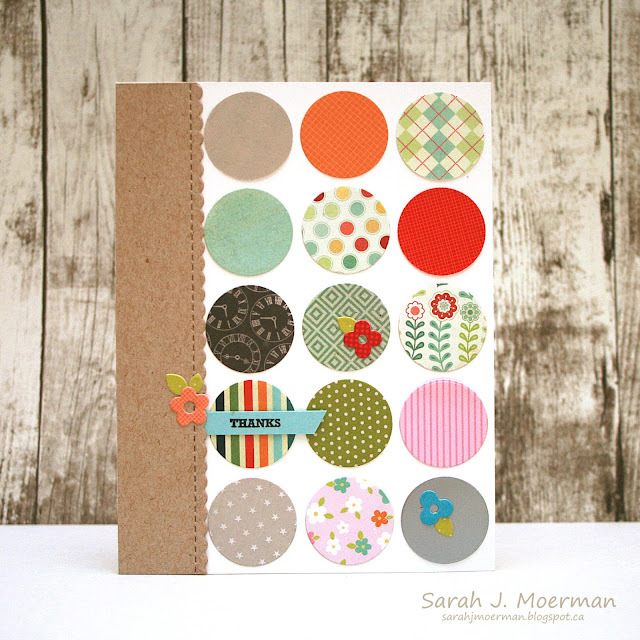 I'm stopping by to share a final card featuring the Simon Says Stamp January Card Kit: Favorite Person! 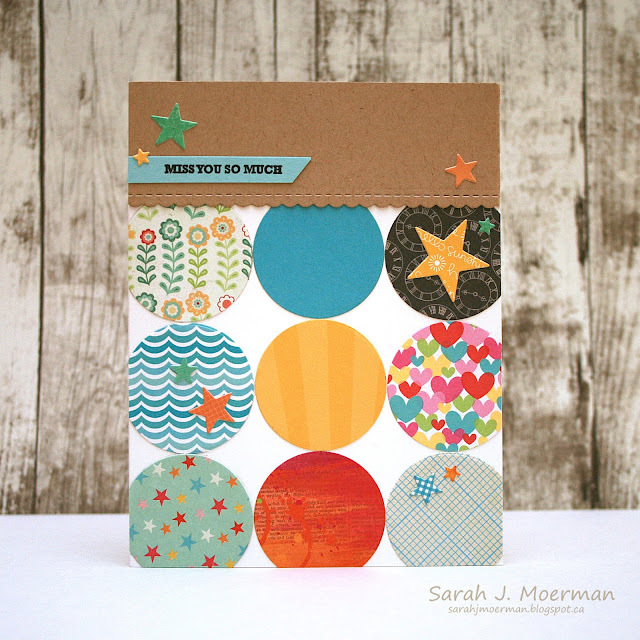 Using the Simon Says Stamp Wonky Rectangles Dies, I diecut two pieces of the Pebbles Ink Forever My Always 6x6 Papers. I ahered the pink one to a notecard made from Simon's Black Cardstock. On the blue piece I stamped the sentiment from Simon's Really Like You Stamp Set and added one of the Crate Paper Main Squeeze Puffy Stickers. 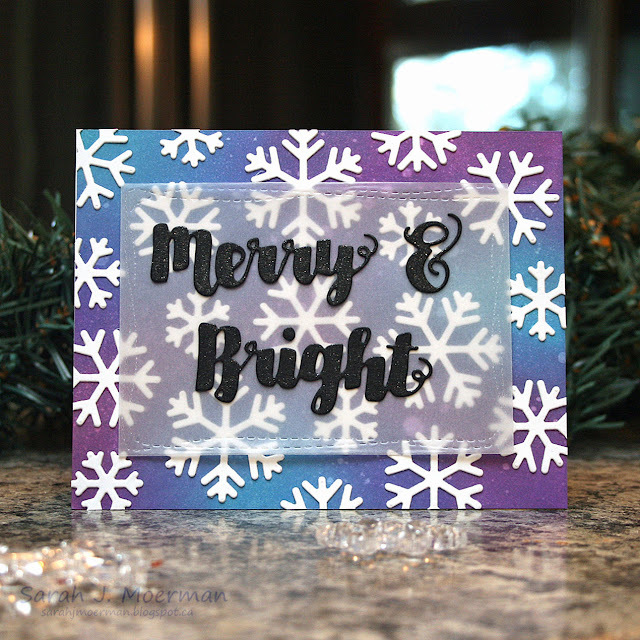 I ran a thin line of Multi Medium Matte Adhesive along the edge of stamped piece and added some of the Vintage Platinum Distress Glitter. Once dry, I adhered the panel to the notecard with foam tape. 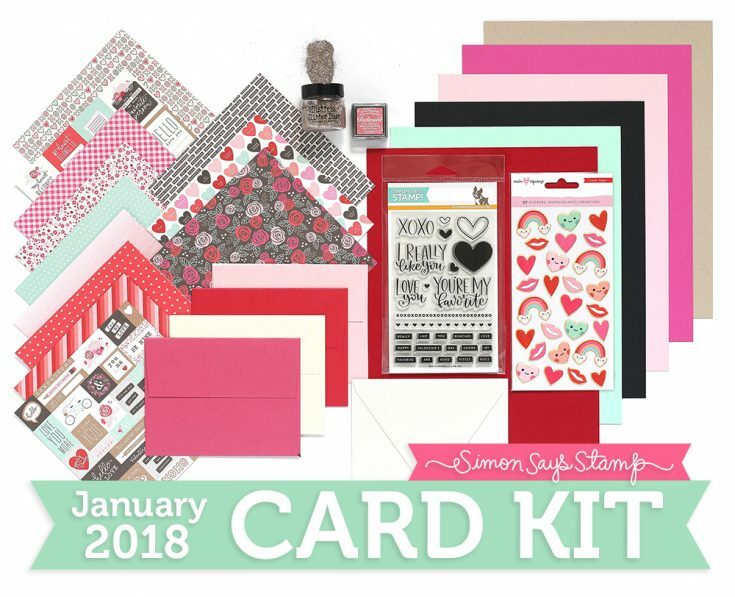 If you're interested, you can pick up the Simon Says Stamp January Card Kit for just $29.99 + shipping. If you'd like to receive this kit and future kits for only $24.95 + shipping per month, you can SUBSCRIBE HERE. 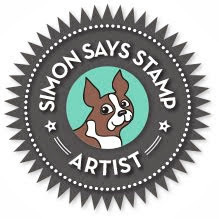 Heidi, owner of Simon Says Stamp, has given me an extra Simon Says Stamp January Card Kit to pass on to one of you! 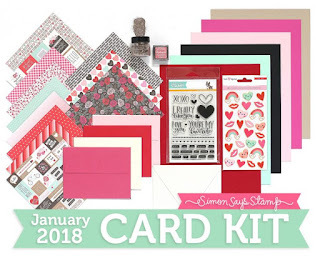 Just leave a comment on any or all of my January 2018 Card Kit posts and I'll announce a winner Wednesday December 27th. Thanks for stopping by. I hope you have a wonderful Christmas celebrating the birth of our Lord and Saviour! 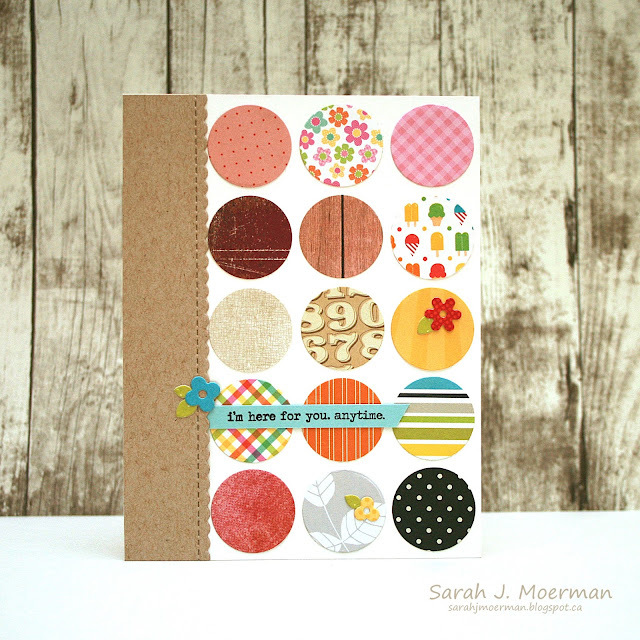 I'm back to share another project featuring the beautiful Simon Says Stamp January Card Kit: Favorite Person. For today's project I decided to make gift tags for my kids' Valentine's gifts. I have yet to decide what I'm giving them since it's still a ways off but now I won't have to scramble to make the tags! 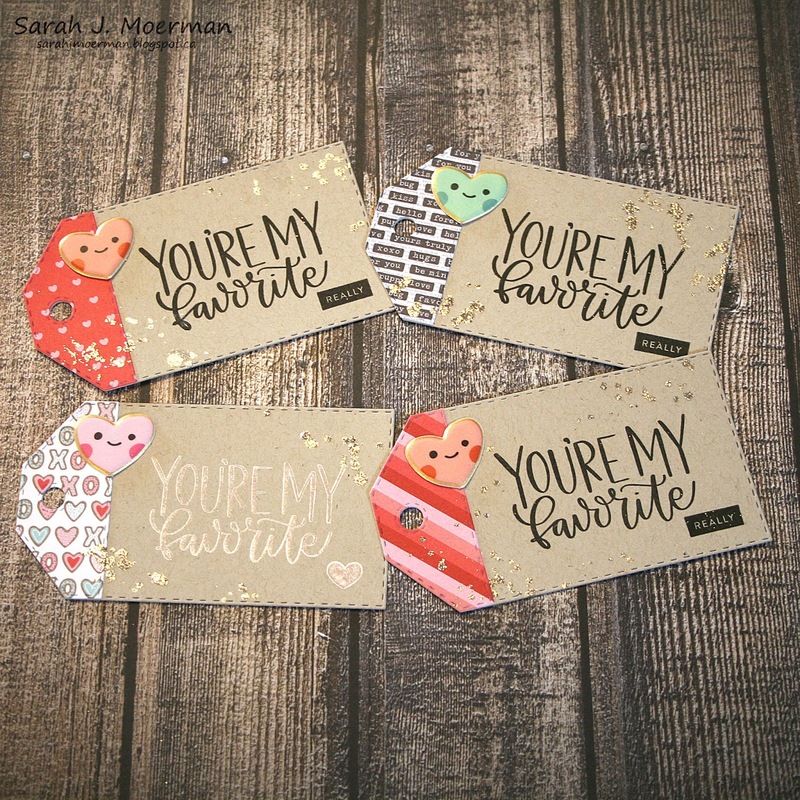 I diecut the gift tags from the Neenah Desert Storm Cardstock and some of the Pebbles Inc Forever My Always 6x6 papers using Simon's Stitched Dress Up Tags. I stamped the sentiment from Simon's Really Like You Stamp Set with Versafine Onyx Black Ink for my boys and the Tsukineko Delicata Small Pink Shimmer Ink that came with the January Card Kit for my daughter's tag. 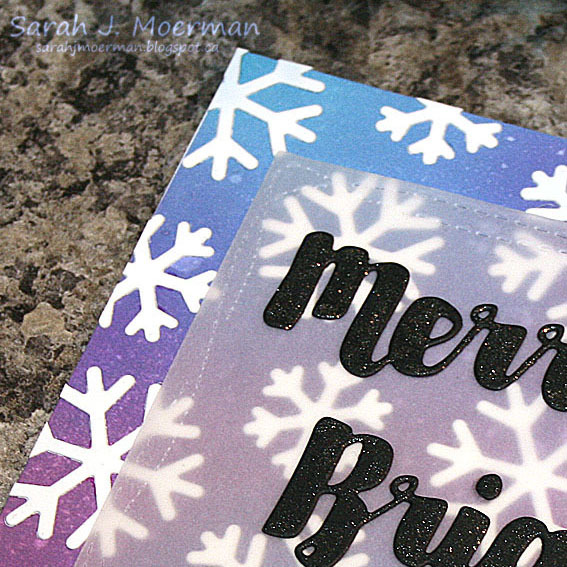 I mixed some Multi Medium Matte and water together and flicked it on the gift tags before adding some of the Vintage Platinum Distress Glitter Dust. I finished the tags off with some Crate Paper Main Sqeeze Puffy Stickers. Simon Says Stamp January Card Kit Reveal (& GIVEAWAY)! Today is reveal day for the Simon Says Stamp January Card Kit: Favorite Person and it is FABULOUS! January's Card Kit includes the wonderful new Really Like You Stamp Set, a mini jar of Vintage Platinum Distress Glitter Dust, a Tsukineko Delicata Pink Shimmer Ink Cube, Crate Pater Main Squeeze Puffy Stickers, Pebbles Inc Forever in My Heart 6x6 Papers, and cardstock and envelopes from Simon Says Stamp. 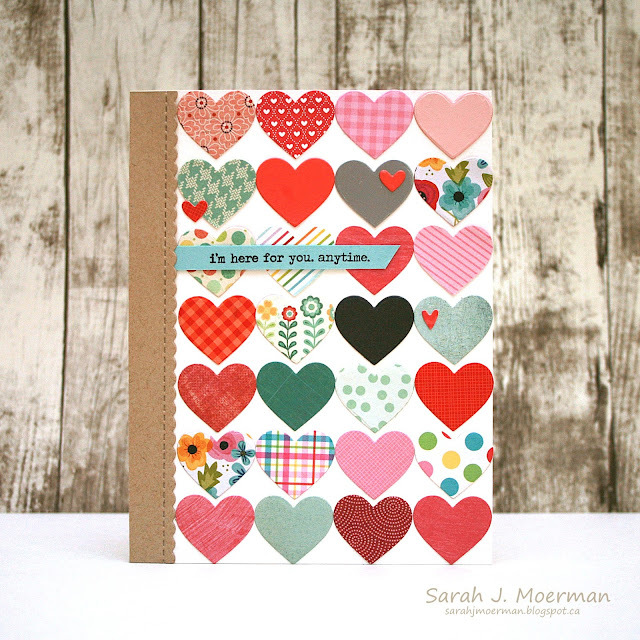 This kit is perfect for getting a start on your Valentine's projects but is great for any time of the year. 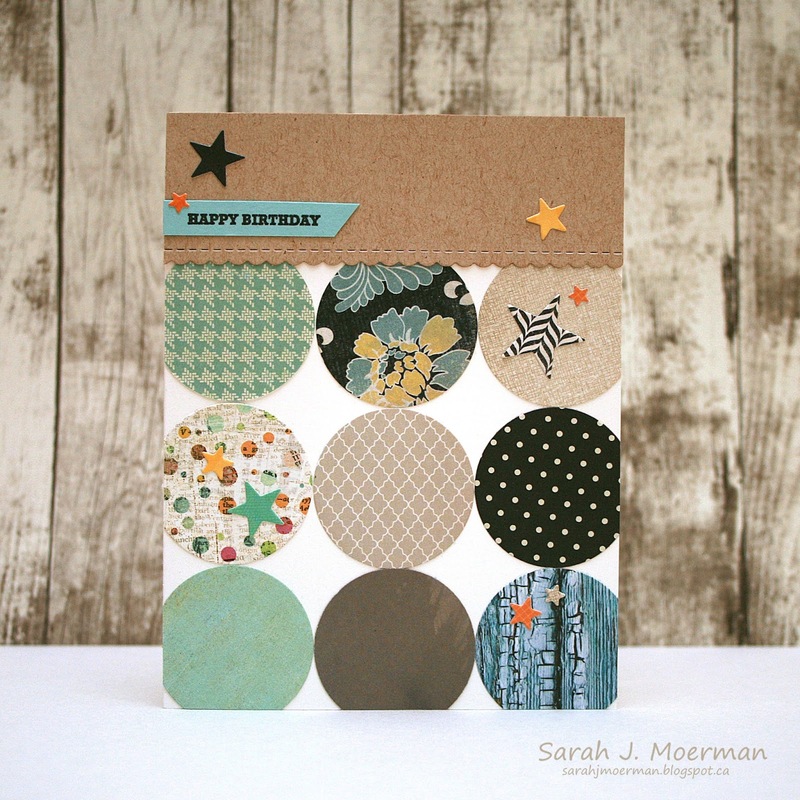 I started by creating my card base from Simon's Black Cardstock. On a Ranger Craft Sheet, I mixed a bit of water with some Multi Medium Matte and using a paint brush I flicked the mixture onto my card front before adding some of the gorgeous Vintage Platinum Distress Glitter. 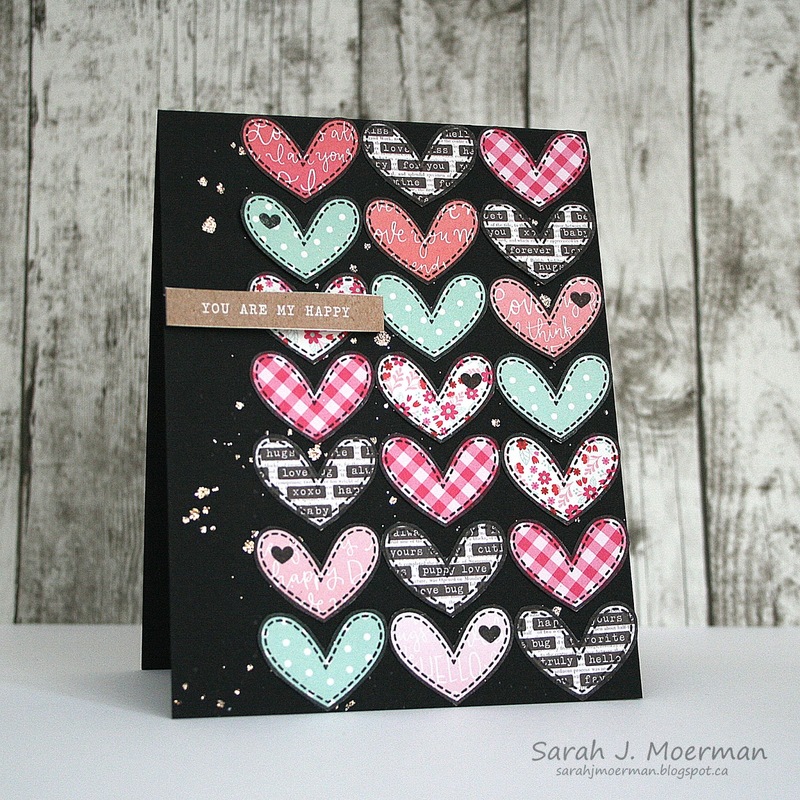 While I let that dry, I stamped the stitched heart from the Simon Says Stamp Really Like You Stamp Set onto a number of the Pebbles Inc Forever My Always 6x6 papers and cut them out with scissors. I adhered them to the dry card front, stamped one of the smaller heart images on some of the hearts, and adhered the sentiment strip (from one of the Pebbles Inc papers) to the card with foam tape. 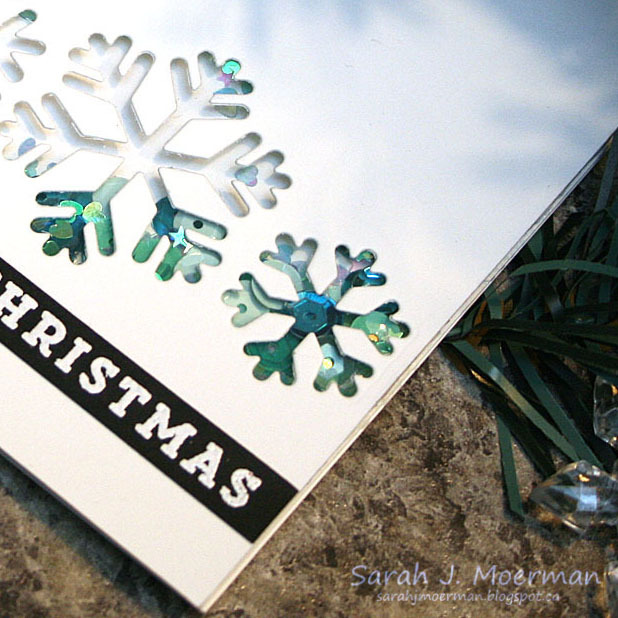 I love how the colour pops on the black card and the touch of glitter too. SSS Diecember® Blog Hop & GIVEAWAY! 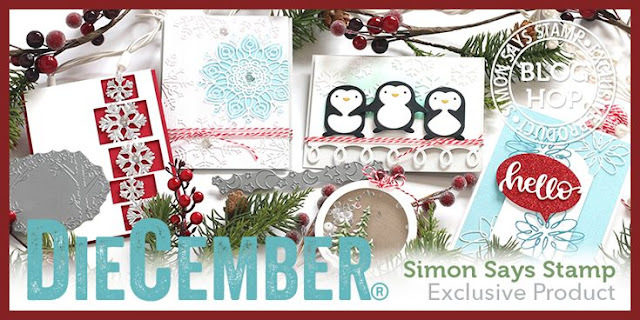 Welcome to the Simon Says Stamp DieCember® Blog Hop! 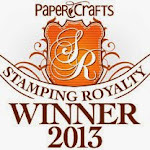 The fun starts at the Simon Says Stamp Blog. 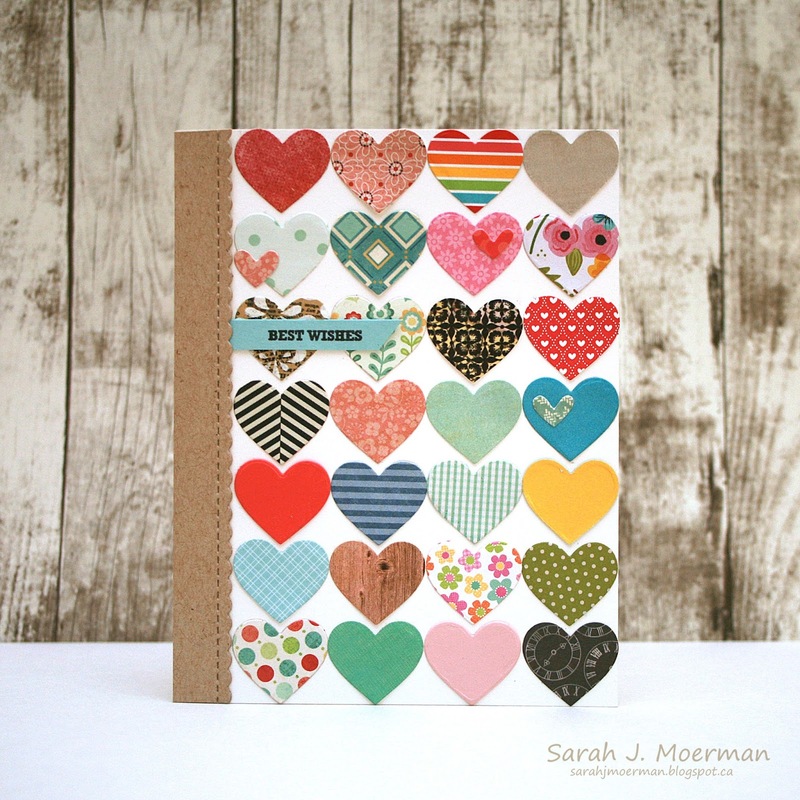 If you've been following along you should be arriving here from the blog of my sweet and talented friend, Barb Engler. Be sure to comment at all the stops as Simon is giving away a $25 coupon at each stop! 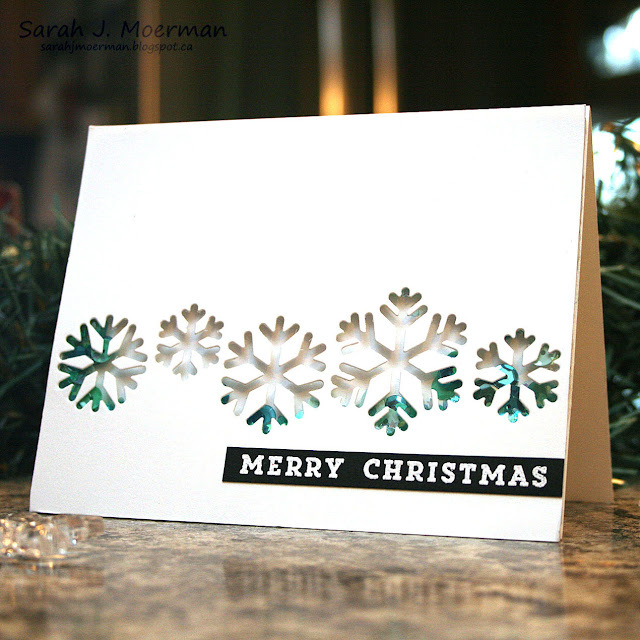 For my first card I used the Sensational Snowflakes Die to create a fun shaker card. I die cut a piece of Neenah White Cardstock and backed it with a piece of acetate from Hero Arts. I built up the back of the cardstock with foam tape, being sure that none of it would show through and that the added sequins would be completely trapped inside. The sequins are a mix of Lucy's Cards and some other sequins I had on hand. 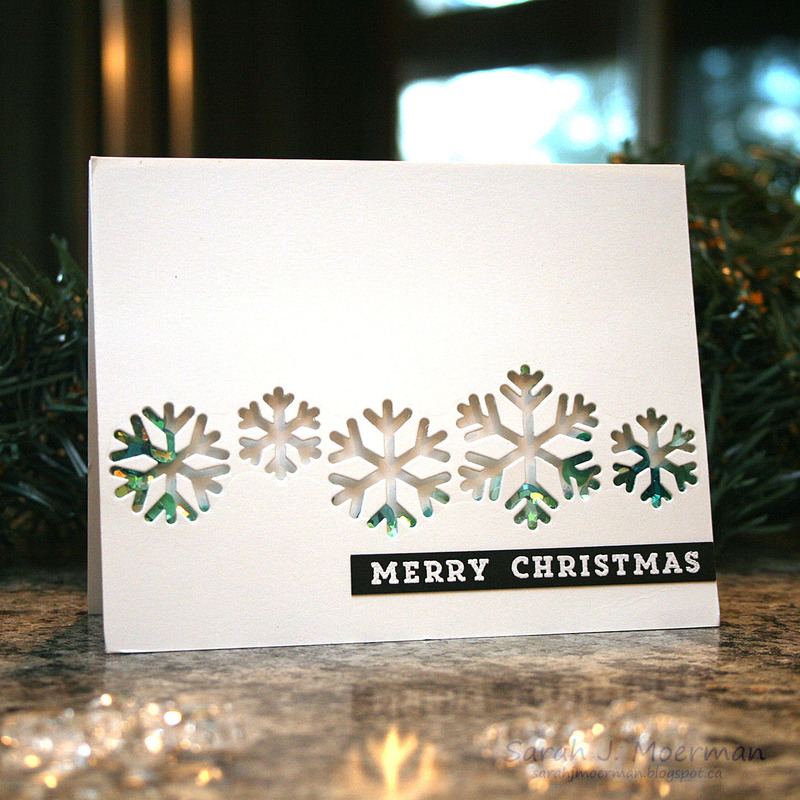 Once backed with my notecard, I added a white heat embossed sentiment. (Supplies used are listed at the end of the blog post). 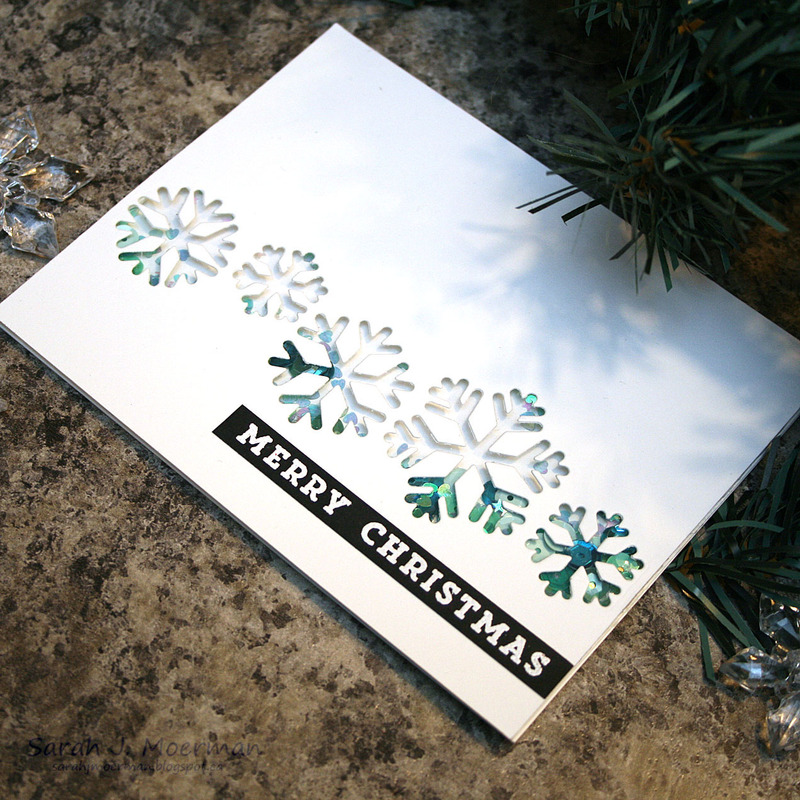 For my second card I cut out multiple snowflakes and added them to a background inked up with Distress Oxide Inks, splattered with water, and spirtzed with Sparkle Sheer Shimmer Spray. 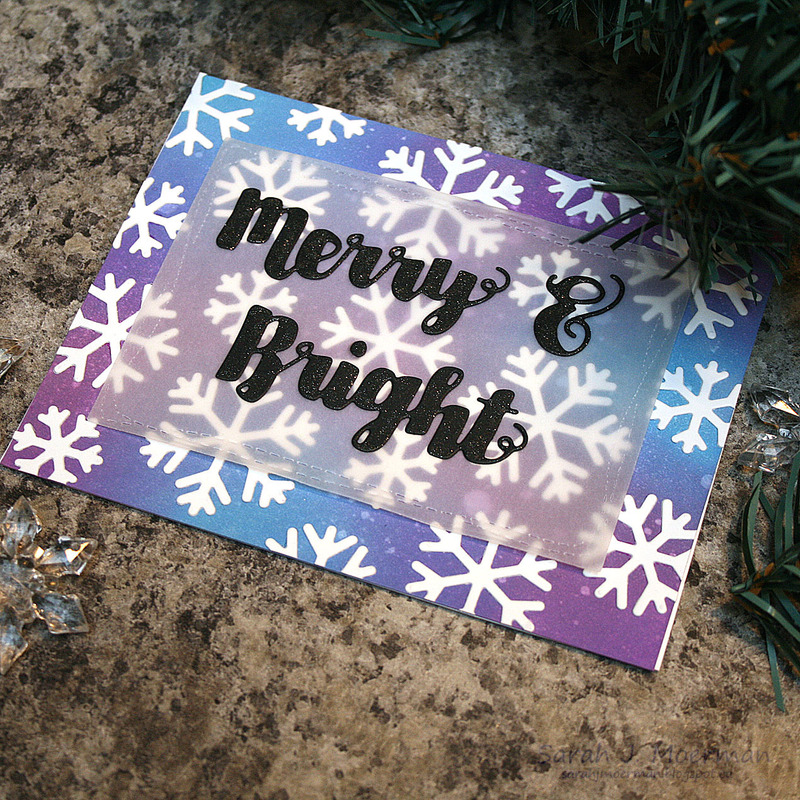 I added a piece of vellum cut using Simon's Wonky Rectangles to tone down the colour behind the greeting. The sentiment is cut from Simon's Black Cardstock using their Merry and Bright die set and was coloured with a Wink of Stella Clear Glitter Marker. The last stop on the hop today is the fabulous Anna Kossakovskaya. Be sure to visit Simon's blog again tomorrow for ANOTHER fun blog hop! Simon has just release some fabulous and fun dies along with with some gorgeous 6x6 Glitter Papers, perfect for diecutting! The full release can be found HERE. 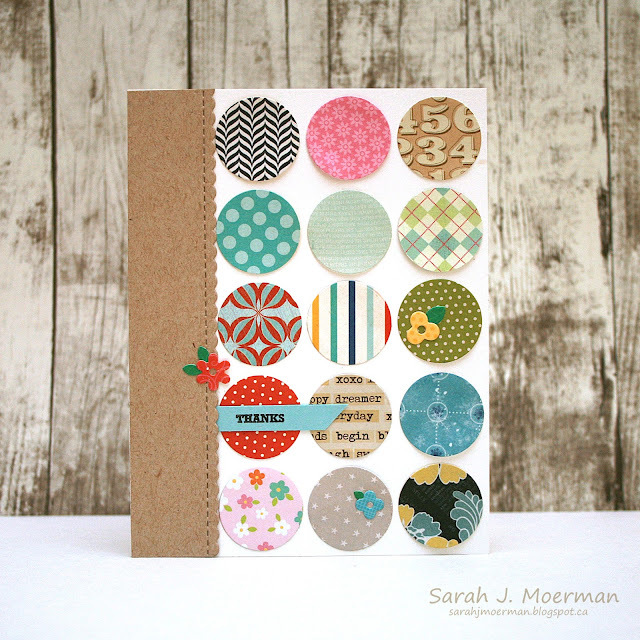 Today I'm sharing a card made using Simon's brand new Evergreen Circle Die. 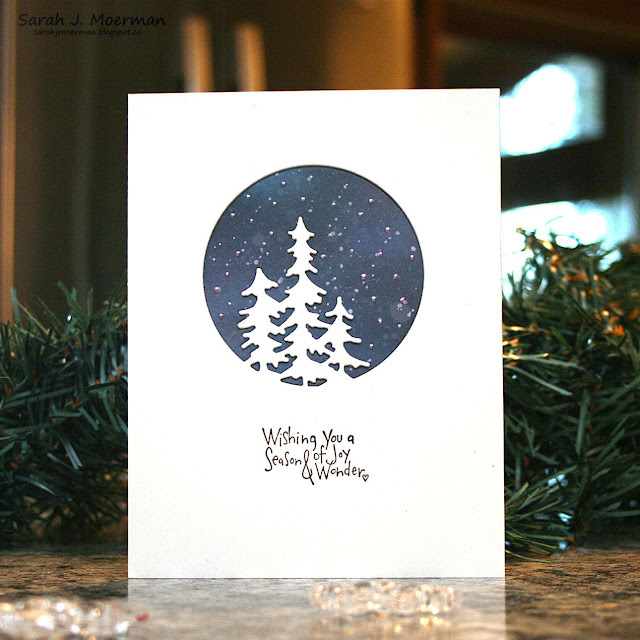 I diecut Simon's beautiful new Evergreen Circle Die from Neenah White Cardstock and inked up the background pieces with Distress Oxide Inks. I spritzed the pieces with Sparkle Sheer Shimmer Spray, flicked them with some Picket Fence Distress Paint, and added some White Opal Liquid Pearls. Once dry, I pieced everything together on the front of a notecard and stamped a sentiment from Simon's So Very Merry Stamp Set. (All products used listed at the end of the blog post).